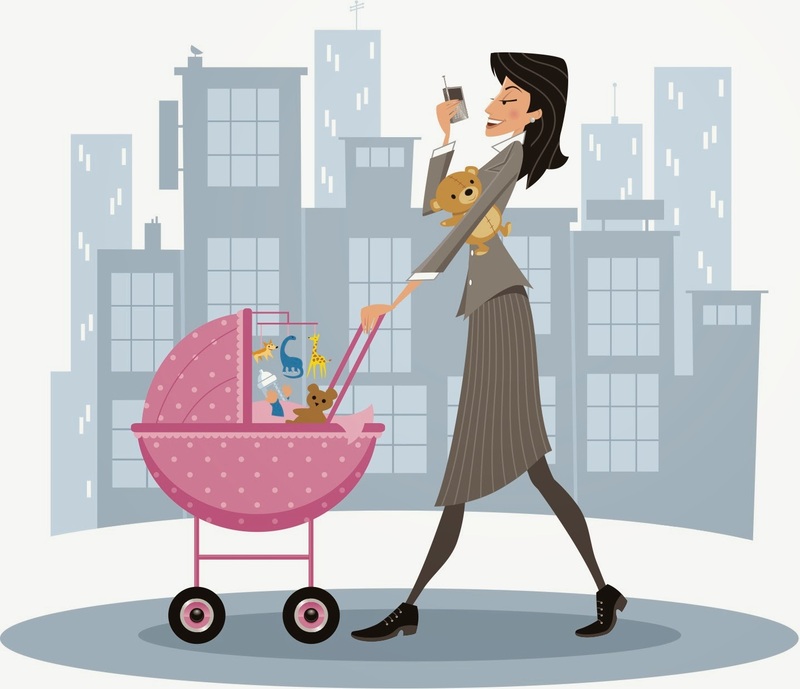 Yes, I’m a Working Mom…We All Are. I’ve read a lot of articles/blogs/posts/comments regarding ‘working moms’ vs. ‘stay-at-home moms’. There seems to be this distinction and disconnect of one vs. the other. I understand the separation because there is a difference between going to a place of work and working at home, but there no difference in working. You are working mother no matter what you choose to do. I work in an office, but I no longer do this full time. I miss my daughter like crazy on those days and can’t wait to pick her up. My working days start at 5AM and don’t end until I go to bed (9-10PM, if I’m lucky!). I wake up and get ready for work, pack up the car and then get her strapped in the car seat to go. I drop her off, work nine hours (through my lunch) then pick her up. I come home and spend a short amount of quality time before her nighttime routine begins. After she’s in bed and finally asleep (because kids don’t always fall asleep immediately), I pick up around the house, eat dinner (if I’m still even hungry), make her bottles for the following day, sit on the couch for maybe thirty minutes with my husband and then go to bed. I imagine that most stay-at-home moms experience this type of schedule (minus going to an office to work) on a daily basis. They do not have the luxury to get an eight hour break. Yes, I called it a luxury. Workforce moms (as I will call us) have adult interaction and fulfill a purpose in life whether it be a job you love or a job that simply pays the bills. However, the other side is that someone else is taking care of your child, not you. Someone else is feeding, holding and spending time with your baby/babies. If you are lucky enough, those people are family members/friends/acquaintances you trust. If you are not so fortunate, those people are strangers. While it is their full time job and they are completely qualified to do so, they are not people that know and love your child the way you, your family or your friends do. It is not a luxury. It’s something you need to do (maybe because of finances) or something you choose to do (simply because you need that break). Whatever the reason, it’s never easy. Stay-at-home moms fulfill a purpose in life by getting all day with their child/children, but their pay is much different. They are rewarded with hugs, I love you’s and the joy of watching their child/children grow in the way they want, on their schedule and with their constant supervision. But there are also days of no rewards, complete chaos, no appreciation or love, constant screaming and whining, the inability to shower, eat, or please and sometimes catch a breath, let alone a break. Nap times are when moms go into overdrive to do laundry, clean the house, make dinner and maybe brush their teeth…maybe. The days seem endless and a break hopefully comes when your husband gets home, but even that break is short lived. At some point in the day you want to cry (or do) as well as wanting an alcoholic beverage of some sort (maybe more than one!) and you begin to wonder if you can even do this anymore (at least when I was home for three months I did!). For those moms that are single parents, God bless you. I can’t even imagine the stress of being a stay-at-home single mother or a working single mother. Stay-at-home moms deal with stress the way workforce moms do, the stress of raising a child/children and we are all in this together. One is not better than the other. I personally think staying at home full time is a lot more difficult from my experience of having my three months of maternity leave, but that is just me. I still believe both offer rewarding experiences and can still give us the chance to be the best mothers we can be. So for anyone working part time, full time, in an office, at home, just know that you are an amazing working mom! You BIRTHED A CHILD, maybe even more than one, and no one can ever take your place. I feel blessed to be a mom and I hope those of you that are moms do too.